PJSC State Food and Grain Corporation of Ukraine saw a 12% rise in grain export, to 1.5 million tonnes, over nine months of the 2018/2019 marketing year (MY, July-June), according to the company’s press service. The report reads that the main crop for export was corn – 1.2 million tonnes (60% more than during the same period in the 2017/2018 MY). The key buyers were France, Portugal, the Netherlands, Italy, Egypt, Algeria, Tunisia, Bangladesh, and China. Supplies to the third countries were carried out through China National Complete Engineering Corporation (CCEC). 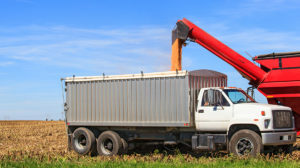 The company’s press service recalled that quotas on import of corn from Ukraine to China were increased for the CCEC in 2019. The State Food and Grain Corporation confirmed its readiness to provide necessary amount of products. The government in August 2010 decided to create the State Food and Grain Corporation of Ukraine. The corporation has a chain of branches, comprised of grain storage facilities, flourmills, fodder factories and a cereals factory. 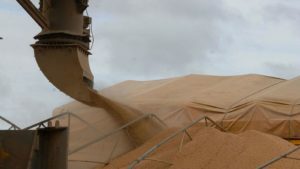 The 53 subdivisions of the corporation can store a total of 3.75 million tonnes of grain, which includes the grain handling capacities of Odesa and Mykolaiv ports of some 2.5 million tonnes of grain cargo per year. The State Food and Grain Corporation saw UAH 1.5 billion in net loss in 2018 compared with UAH 1.4 billion net loss in 2017. The State Statistics Service of Ukraine has confirmed grain harvest in 2018 at 70 million tonnes, the press service of the Agricultural Policy and Food Ministry of Ukraine has reported. “The final report of the State Statistics Service on harvest in 2018 confirmed overcoming the historic for Ukraine grain production in weight after threshing – 70.057 million tonnes with a yield of 4.74 tonnes per hectare. In addition, the gross harvesting of corn, soybean and sunflower and the yield of sugar beet were the highest in the history,” Deputy Minister of Agricultural Policy and Food Volodymyr Topchiy said. In particular, Ukraine harvested 24.6 million tonnes of wheat with a yield of 3.73 tonnes per hectare, 35.8 million tonnes of corn with a yield of 7.84 tonnes per hectare, 4.5 million tonnes of soybeans with a yield of 2.58 tonnes per hectare, and 14.2 million tonnes of sunflower with a yield of 2.3 tonnes per hectare. 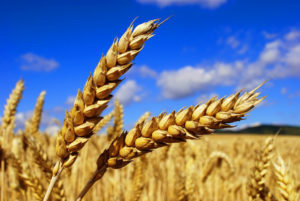 As reported, Ukraine since the beginning of the 2018/2019 agricultural year (July-June) as of March 20, 2019 exported 35.605 million tonnes of grain and leguminous plants, which is 20.8% more than on the same date of the previous agri-year. According to the ministry, grain exports in 2018/2019 agri-year are projected to be 49 million tonnes (in 2017/2018 agri-year it was 39.4 million to tonnes). 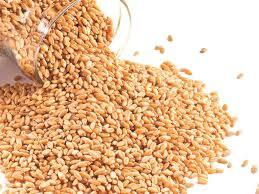 Ukraine since the beginning of the 2018/2019 marketing year (MY, July-June) and as of March 20, 2019 had exported 35.605 million tonnes of grain and leguminous plants, which is 20.8% more than on the same date of the previous MY. According to the Ministry of Agrarian Policy and Food, farmers exported 18.74 million tonnes of corn, 12.95 million tonnes of wheat, and 3.3 million tonnes of barley. On that date, some 192,200 tonnes of flour had been also exported. 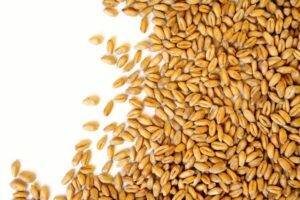 As reported, with reference to the ministry, Ukraine exported 39.4 million tonnes of grain in the 2017/2018 MY. 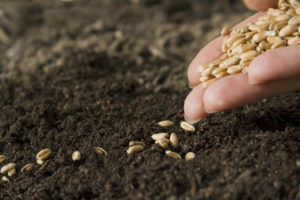 As of March 7, 2019, Ukraine has started sowing early grain and leguminous crops in seven regions. The crops had been sowed on 58,000 ha or 3% of the target. According to a report of the Agricultural Policy and Food Ministry of Ukraine, spring barley was sowed on 34,000 ha (2%), wheat on 1,000 ha (1%), peas on 23,000 ha (7%) and millet on 500 ha. In addition, fertilizer input on areas with winter crops in grain was finished on 4.6 million ha (60% of the target). Fertilizers were input on 3.8 million ha with winter wheat (59%), on 43,000 ha with winter rye (38%) and 718,000 ha with winter barley (71%). In addition, areas with winter rapeseeds were filled with fertilizers on 1.1 million ha (83%). The ministry said that the logistics of agricultural products remains a bottleneck of Ukrainian exports. “Therefore, there is a proposal and a common desire of the response team members [the interdepartmental response team in agricultural logistics] to transfer its work to the systemic track. In parallel with the current and urgent issues, we will work on a long-term development strategy and logistics efficiency in agriculture, and jointly worked out decisions and proposals will be submitted to the meetings of the Cabinet of Ministers of Ukraine,” Acting Minister of Agricultural Policy and Food Olha Trofimtseva said. According to her, among the key issues requiring strategic discussion are three issues: the predictability of operation or closure of low-efficiency stations and the possibility of alternative solutions; fair and transparent pricing; systematic vision of the formation of routes of transportation of agricultural products in 2019. Ukraine since the beginning of the 2018/2019 marketing year (MY, July-June) and as of March 6, 2019 had exported 33.399 million tonnes of grain and leguminous plants. According to the Ministry of Agrarian Policy and Food, farmers exported 12.7 million tonnes of wheat, 3.3 million tonnes of barley, and 16.8 million tonnes of corn. Some 179,100 tonnes of flour had been exported on that date. According to the ministry, grain exports in the 2018/2019 MY are projected to be 49 million tonnes. The Epicenter K Group, developing the agricultural business, plans to invest around EUR 5 million in purchase of 100 grain trucks. According to the press service of the company, Epicenter will purchase the first 10 grain trucks by the end of February. The approximate cost of one truck is EUR 45,000. “We are thinking about the alternative to the railway. This season we are exporting grain by grain trucks from the Hnivan and Nemyriv silos (Vinnytsia region). The difference in corn trucking from Nemyriv to the port compared to the railway is $ 2 per tonne, and this is a good bargaining price for corn. In addition, it gives us efficiency in work and ensures the implementation of contracts,” Deputy Head for Agriculture of the Silo Division of the Epicenter K Svitlana Nykytiuk said. At the same time, according to her, the company plans to complete the construction of railway lines to silos in Vapniarka and Vendychany (Vinnnytsia region). “At other facilities, there is a railway connection, except for our silo in Kyiv region. The automobile logistics is more interesting there than the railway one,” Nykytiuk said. The company plans to increase the silo storage capacity to 750,000 or 1 million tonnes. In particular, in 2018, the company began the reconstruction of the Vinnnytsia and Zakupne silos and the construction of two new silo complexes in Vinnnytsia region with a total capacity of 500,000 tonnes. Investments amounted to UAH 800 million, and the launch is scheduled for July 2019. In addition, Epicenter will increase the capacity of the Hnivan grain collecting station (by 60,000 tonnes), the Nemyriv silo (by 28,000 tonnes) and the Pererobnyk silo in Kyiv region (by 105,000 tonnes). In addition, Epicenter will build a second phase of a silo at Vapniarka.